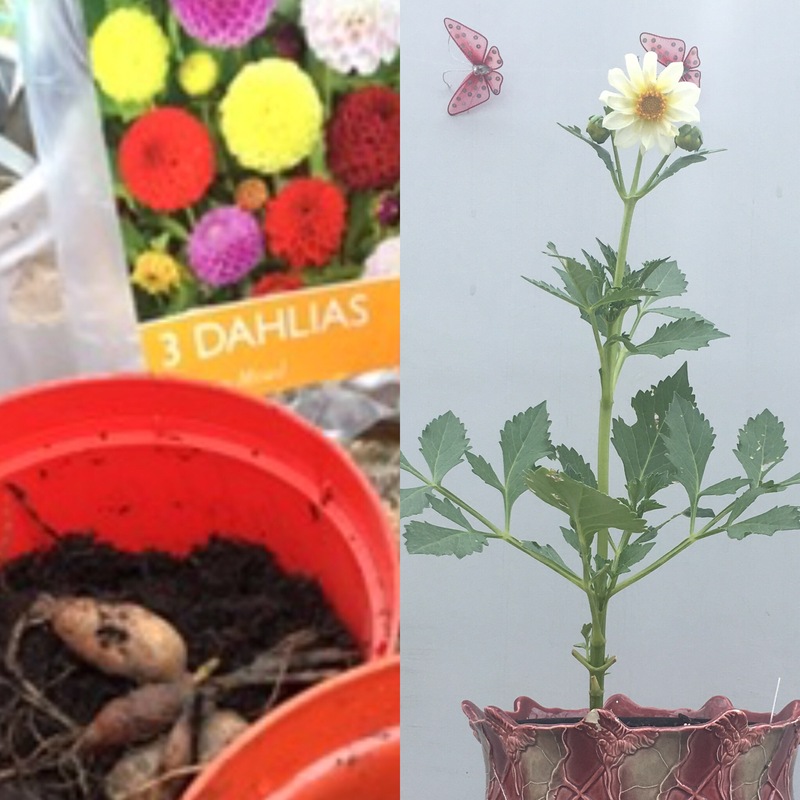 Back in February I planted out three dahlia tubers, which I’d picked up at the pound shop. It’s a variety called Pompon. Of the three tubers planted, only one has grown, and it’s now in bloom. It looks good, but nothing like the picture on the packet!